United States and Mexico agreed on the new trade Agreement while Announcing a consensus on the new trade agreement, President Trump said that US would get rid of 'Nafta' as the Nafta has badly damaged the United States for many years. America and Mexico have agreed on a new trade agreement that will replace the North America Free Trade Agreement (NAFTA). US President has announced it on Monday being named as 'America Mexico Trade Agreement'. 'Nafta' is an independent trade agreement between the United States, Mexico and Canada, which was founded in 1994 by the US President Bill Clinton. The annual volume of trade between the three countries involved in 'Nafta' is more than $10 billion. But President Trump is a little critic of this agreement and threatened Canada and Mexico after coming to power last year that if they did not make changes in the agreement that they were demanding, then the United States would not be anymore in this trade Agreement. President Trump thinks that due to Nafta, major industries have suffered huge damage in US. Many industries have now moved to Mexico because of low cost which has increased the unemployment rate in the United States. Dialog on reforms in 'Nifta' has been continued for more than a year, due to which Canada and Mexico have also faced financial pressure. Before announcing the Agreement, the President Donald Trump spoke to Mexican President Peña Nieto in front of media reporters in his office. On this occasion, Mexico's Foreign Minister and Minister of Commerce were also present in the Oval Office, White House. President Trump said to the Mexican President that he would soon announce the new trade agreement in a joint press conference. Canada is not included in the new agreement, and analysts says that declaring consensus on the agreement between the United States and Mexico can also increase the pressure on the Canadian government to join this agreement. Meanwhile Canadian Prime Minister Justin Trudeau on Monday telephoned President Trump on which the two leaders discussed the proposed agreement. It is reported that Canadian Foreign Minister Chrystia Freeland will visit Washington DC on Tuesday to discuss the proposed agreement. No further details of the new agreement have released yet. 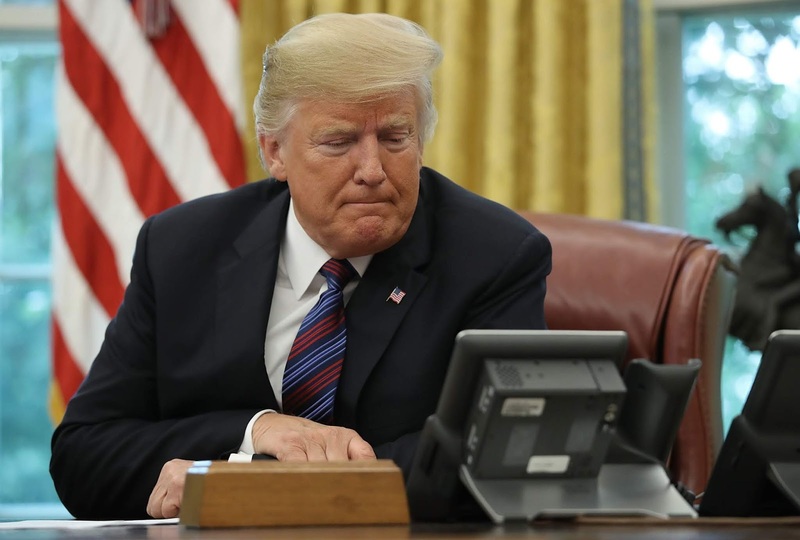 But a senior US official has said that if the new agreement with Canada did not reach any conclusion by the end of this week, President Trump will officially inform the US Congress that his government and Mexico has agreed on this agreement. However the officials said that the door to join this agreement would still be open after this. White House says President Trump will sign a new agreement on 90 days before the Congress confirm the agreement.